Click or tap as fast as you can to collect sushi! Automate your production by unlocking buildings and upgrades. See if you can rise to the top and become a true sushi mogul. Click or tap as fast as you can to collect cookies! Automate your production by unlocking buildings and upgrades. See if you can rise to the top and become a true cookie mogul. It is flu season again and Molly needs your help to get all better! You will need to help Molly by using the tools to fix her up! Try collecting donuts in this connecting the dots game! Connect the same type of donuts to collect and earn achievements. Very addicting gameplay! Zelda fans will love collecting rupees in this connecting the dots game! Connect the same color rupees to collect and earn achievements. Very addicting gameplay! Run as fast as you can to help Elsie collect all of the candy before the evil gummy bear gets her! Amazing Candy Adventure is PacMan meets Candy Crush. Elsie needs your help to guide her through mazes filled with hungry gummy bears and challenging puzzles. See if you can help Elsie solve all of the puzzles and collect all of the candy. Are you ready to raid? Battle the evil viking clan as you voyage on an expedition for gold and fame! A Viking Tale is fast paced action, challenging mazes, and exciting puzzles like you’ve never seen before. You play as Björn, a young viking prince that has to battle a barbarian viking clan and collect all of the spoils! It’s harvest time on the farm and the farmer needs your help! The farmer needs to harvest the wheat to make hay, but the wolves are set on getting the farmer! Hay Maker is like PacMan and Sunday Lawn. Farmer John needs your help to guide him through mazes filled with loads of crops, wolves, and challenging puzzles. See if you can help Farmer John solve all of the puzzles and collect all of his crops! Do you think you have what it takes? Are you a master thief? This is your chance to prove yourself as a banker robber! 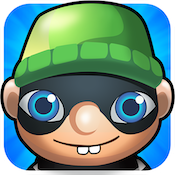 Mr. Robber needs your help to guide him through mazes filled with loads of cash, guards, and challenging puzzles. See if you can help Mr. Robber solve all of the puzzles and collect all of the cash! Create incredible photo collages with amazing effects. Photo Booth Lab helps you turn your great photos into incredible photos with filters/effects, collage frames, and easily share your creations on Instagram, Facebook, Twitter, SMS, Dropbox, email, and more. It’s duck season and the hunters are out in force! 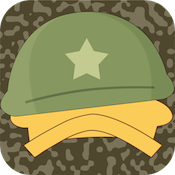 Help Commander Duck avoid the hunters as long as possible! The hunt is on and the hunters are out in force with their shotguns ready to shoot a prized duck! This is an all out battle for survival in the swamp. Gameplay similar to Flappy Bird, but bearded hunters shooting shotguns at you. How long can you help Commander Duck avoid being shot by the hunters? Help Twirlie navigate dangerous obstacles in his quest to go farther than any Twirliebird has ever gone before. And you thought Flappy Bird was addicting?! Meet Twirliebirds, the new game that takes the addiction and difficulty to a whole new level. This will be your true test of endurance and agility. How far can you make it? Challenge your friends to see who can get the farthest. Create your own custom Emoji icons and also use the built-in Emoji keyboard! Ever wonder how everyone sends Emoji icons in emails or text messages? Emoji Factory will allow you to create your own custom Emoji icons, share them with your friends, and also unlock the built-in Emoji keyboard! This is the first application that lets you create your own Emoji icons! 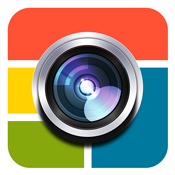 Photo Collage Factory helps you combine multiple photos into incredible looking photo collage frames and share them with your fiends and family using Email, Instagram, Facebook, Twitter, SMS, Dropbox, and more. Create incredible images using filter factory. Save the Sheeple in this fun and addicting game! You are in charge and it is your job to help guid the Sheeple to safety. There will be obstacles such as crates, boulders, ice blocks, and even rivers preventing their escape. With the use of fire, meteors, and bridges your finger tips can help guide the Sheeple to various exits to escape there endless roaming!